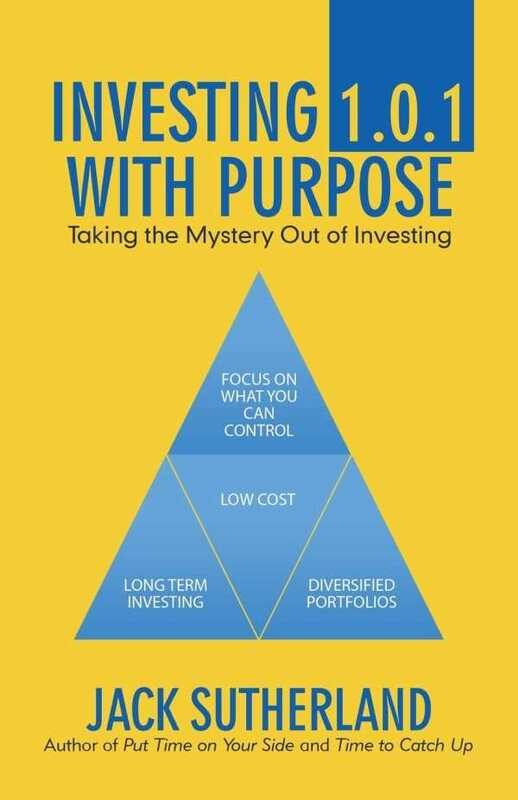 Investing 1.0.1 with Purpose works to take the mystery out of investing, presenting the fundamentals and laying out advanced strategies to attaining long-term financial goals. Jack Sutherland’s Investing 1.0.1 with Purpose focuses on investing in the stock market to meet financial goals, such as saving for a down payment for a house, bankrolling children’s college, or ensuring a comfortable retirement. This guide to money management aims to help its audience take control of their financial future. According to this book, saving money alone is not enough. It also encourages thinking ahead to ensure the highest rates of return through long-term investments, citing examples that illustrate its lessons. It lays out a “code of the road” for syncing one’s lifestyle with disciplined saving, including tips like avoiding frequent trades that cause brokerage fees to mount. It spells out the whys and hows of modifying behavior, including cutting down on spending and ignoring market turbulence. This information draws upon statistics, academic studies, myths like that of the Gordian Knot, and the work of intellectual luminaries like Sir Isaac Newton. It bounces from Beethoven in one paragraph to Notre Dame football in the next and even includes forays into psychology to explain why people should be more forward thinking when it comes to planning for retirement. The work is relatable and accessible, and examples are folksy, if sometimes to excess. Basic financial subjects are broken down for beginners and range from insurance to 401(k)s and IRAs. These inroads to complicated subjects are clear and specific, anticipating and answering probable questions. Still, some explanations seem to underestimate the book’s audience, including with dictionary definitions of basic terms. Many of the book’s insights replicate the conventional wisdom of investing. Its axioms about compound interest, living within one’s means, cooking at home versus dining out, and skipping expensive coffee drinks are not surprising or fresh. Some presumptions—such as that contemporary workers participate in the gig economy strictly by choice, or that people save less today than in previous generations because of irresponsibility rather than outside conditions—do not bear out. Many choices are presented as binary rather than nuanced and can seem glib. These factors diminish the book’s practical value in a complicated world. The book is systematic in its organization, and its guidance progresses clearly. It is accessible to those other than everyday investors, too, and some of its instructions apply more broadly, as much to life as to investments. Tables, graphs, and bullet point lists help to explain matters further. Spelling and grammatical errors undercut the book’s authority, though.